Happy Memorial Day, everyone! Hope you're all enjoying the long weekend, if you got one, or celebrating however you choose. Wanted to share a How to Wear DIY today--I've been wearing my yellow jeans a lot recently! Seen here not long ago, I also wore them over the weekend to a bowling party our Realtor threw for her clients. =) Our house isn't done yet, of course, but we're really happy with our Realtor and were excited for her party anyway! Oh, and--serious How to Wear DIY here--I wore two DIY'ed pieces! It must be like an unofficial rule of bowling alleys that they have to be sort of run-down. Husband got quite a few strikes! I made him pose with the "X" screen. Anyway--I wore two DIY'ed pieces! Yellow jeans, new love of my life, and this striped top I majorly took in. 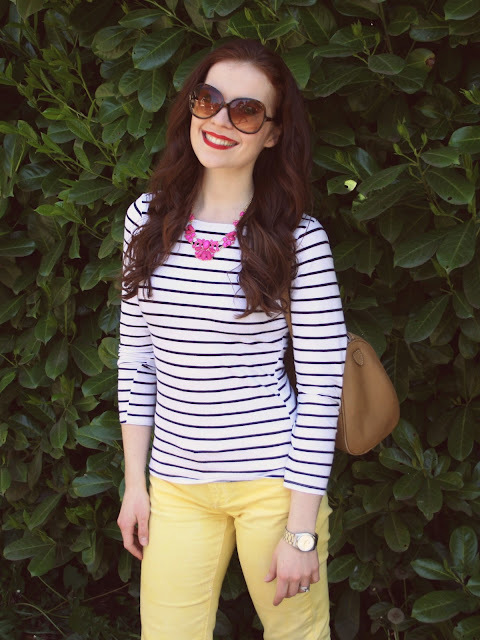 Necklace: Forever 21 (similar). Flats: Land's End. Watch: American Eagle. Bag: Wilson's Leather via Shirt: DIY altered! Jeans: DIY, dyed and made skinny! 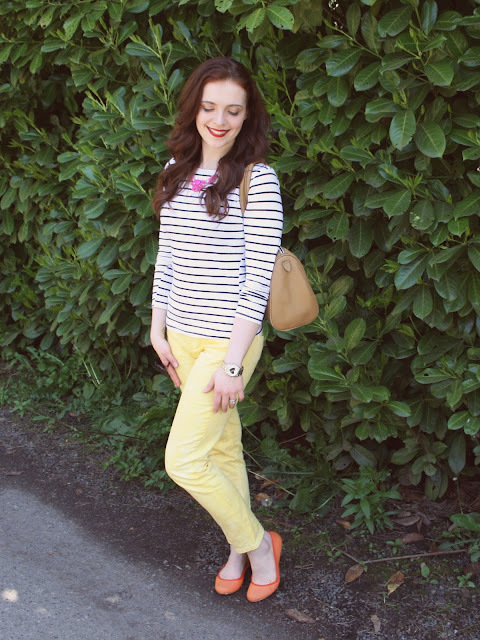 Pretty sure I need some more pastel jeans before jeans weather is out for the summer. But then--I might be dying some shorts soon! 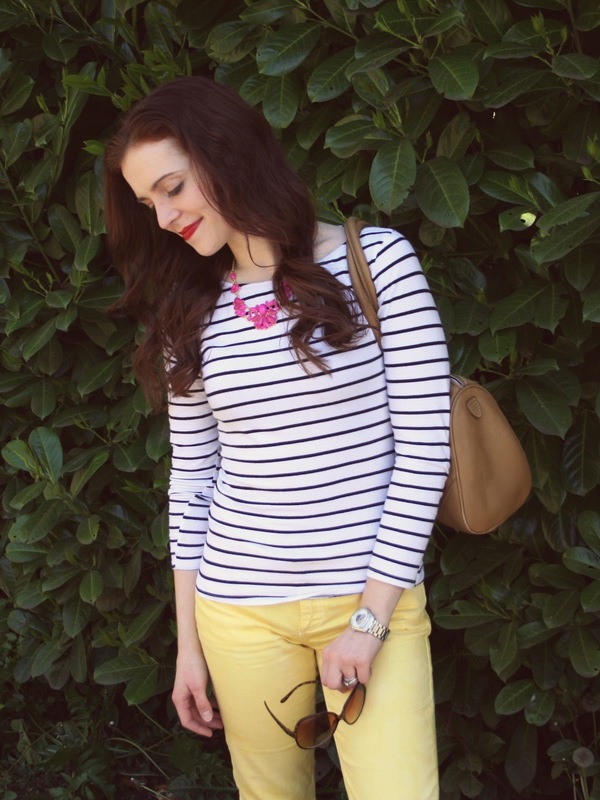 I am a sucker for stripes and yellow. 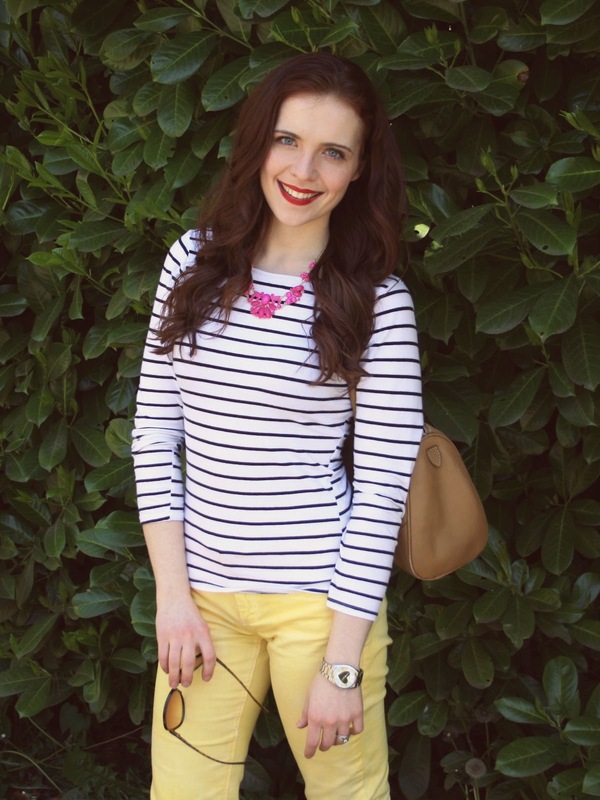 This outfit is perfect! Thanks for sharing! Oh, me too, they always look so good! Thanks! This is such an adorable outfit. 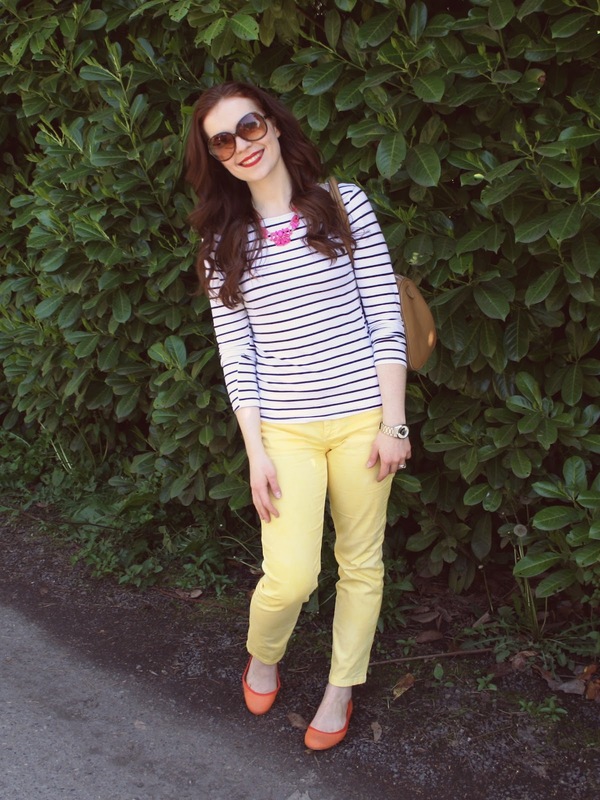 Perfectly casual and chic for an Oregon spring. 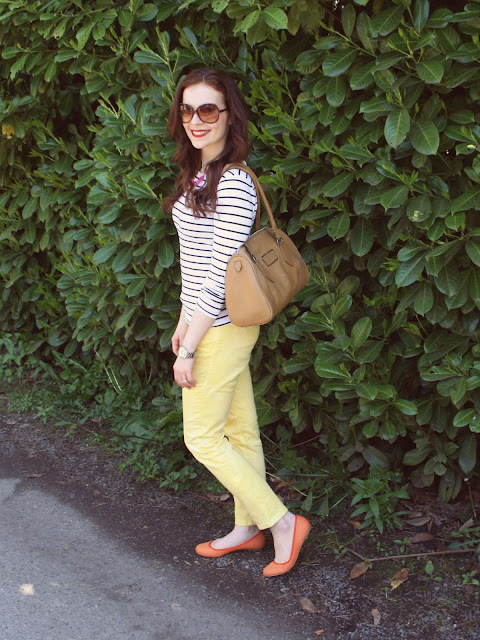 I love that you paired the yellow with a pair of orange flats. Adorable! I love it. You can wear it gurl !!! !